At Dynamic Health and Fitness we promote accountability both ways (both us and YOU), and we are interested in your fitness, health, and quality of living as pertaining to life. It means that the old SELL SELL SELL mentality you are probably used to at commercial gyms IS NOT our top priority. Our business is your health. And even more importantly, our business does NOT grow unless you are happy and see results. But in order for us to help you, you have to let us help you by trying your best to honestly follow our professional guidance and learn/educate yourself about a healthy lifestyle. Our relationship with you is a two-way street; we do our best to provide a customized, individually scaled program, you try hard to show up consistent, give an honest effort, and follow our professional guidance. When any of these elements are missing, the likelihood of success decreases. 1. You’re on your own, so you really don’t know if you’re doing things the right way or getting the best possible results for your time investment. Or you don’t bother to show up to the gym because they don’t care if you are there anyway. 2. The program you participate in is lead by an individual who really has no substantial qualifications. This is not an ego contest. It’s human nature to be insecure and compensate with egos when lack of knowledge exists. 3. Your program addresses only a few components of fitness, but falls short in other areas, ultimately leading to plateaus, boredom, or injury. This is also detrimental to long-term health because there are 10 different components to fitness, all of which are equally important. Many people in the profession don’t even know this! At Dynamic Health and Fitness we ARE interested in helping you FOCUS on YOURSELF for each workout and investing in your own health along with our professional care and instruction. We want to maximize the efficiency of your individual usage of time during each class to gain the best results possible. Your commitment to improvement and ability to focus during class dictates how well we can help you. 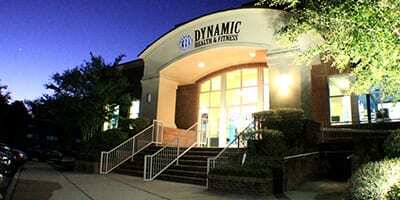 Every new Dynamic member receives a free personal assessment. And if you don’t see an immediate difference based on the things above, there’s no obligation to continue. So come on in, put your work hat on, don’t be afraid to ask questions, and be ready to work hard every time you show up, and we promise you won’t be disappointed once the program has concluded!